Serena and Venus Williams faced off last night at the Sony Ericsson Open in Miami. I always enjoy these Battles because they are two of the most dominant players on the WTA tour. 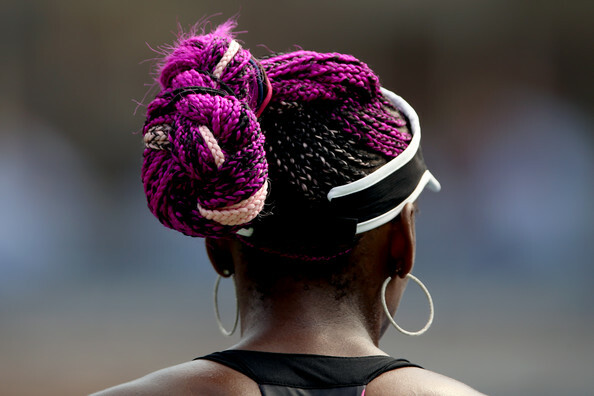 It seems, lately, that Serena has a firm grip on the family’s supply of tennis swagger. She’s simply been dominating following her win in the US Open last August and another Australian Open title, a couple of months ago. The Serena Show continued as she beat big sis Venus: 6-4, 3-6, 6-3. The win guarantees she gets to keep her World #1 ranking. That’s music to my ears. I want my girl to stay on top! She will meet No. 11-seeded Victoria Azarenka in Saturday’s final.